The pursuit of a civil case or claim on behalf of the injured child can be quite complex. For instance, one question or issue that arises is the presence or availability of liability insurance for the day care center, child care center, and summer camp. Many insurance policies exclude intentional conduct from coverage. As such, if a day care center owner molests a child, this particular incident may be excluded from insurance coverage. A civil case or claim can be pursued; however, if alleged acts are excluded from coverage, it may be difficult from a practical standpoint to pursue and collect upon such a matter. For day care centers, there may be a way in which to pursue the case by alleging negligent hiring, negligent retention, failure to supervise, and other theories which are covered as “unintentional” acts on the part of day care centers which may be covered under an applicable liability insurance policy. Certainly, the rights of an injured child should be enforced through a civil case or claim. As noted herein, there are both legal and practical factors to consider when reviewing, evaluating, handling, and resolving a case or claim. It is often helpful to contact a Child Injury Lawyer for advice, guidance, and, when appropriate, legal representation. Shaken Baby Syndrome is one type of injury that takes place a day care centers and child care centers. An inexperienced or impatient child care provider shakes a child who is crying or is being fussy. The problem is that a child’s brain and skull are still developing and are highly susceptible to injury. A child care provider should never ever shake a baby. The resulting injuries can be quite significant. David Wolf is an attorney, author, and advocate. He has written 7 books focusing on personal injury and child injury matters. 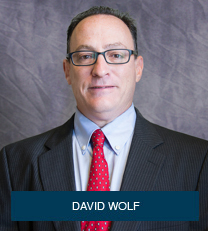 One of the books authored by David Wolf is the book titled – Broken Trust – Abuse, Neglect, and Molestation – Legal Rights of the Injured Child. You can get this book for free at Broken Trust. The book has chapters on Medical Care, Treatment, and Documentation of Injuries, Injuries Associated with Child Abuse, Common Questions in Child Abuse Cases, and other topics.